The Illinois Archaeological Survey welcomes its new members who were admitted in 2017. Look for all of their bios soon! Andrea is an Assistant Professor of Anthropology and Chemistry at Western Illinois University. She earned her Bachelor’s degree in Anthropology from the University of Washington. She received her Ph.D. in Anthropology, with a minor in Human Genetics, from the University of Minnesota, investigating factors that influence the preservation and detection of DNA in ancient and forensic specimens. Her research considers the effects of environmental variables and the comparative utility of laboratory protocols to produce informative results. Dr. Alveshere has conducted archaeological excavations in Israel, South Africa, and throughout the Midwest. She also worked for several years as a forensic scientist in the DNA/Biology section of the Forensic Science Laboratory, Minnesota Bureau of Criminal Apprehension. 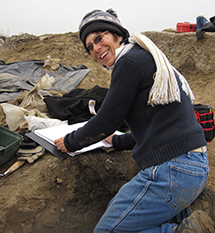 Carol is a registered professional archaeologist and STEM educator committed to archaeological education and research. Her interests include past human-environmental interactions, particularly regarding the fishing of rivers, oceans, and other water bodies. 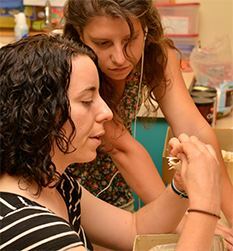 She has used aspects of zooarchaeology to understand the relationship between humans and fishes in different temporal and regional settings throughout the eastern US, including Illinois. Since 2016, Dr. Colaninno has served as an assistant research professor in the Center for STEM Research, Education, and Outreach at Southern Illinois University Edwardsville. Photo of Carol with student Paige Ottenfeld (taken by Doug Carr). 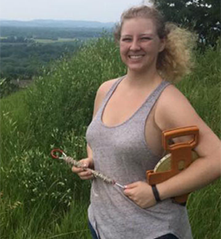 Since graduating from the University of Illinois in 2013, Alli has worked at the Illinois State Archaeological Survey in the field and the bioarchaeology lab in Urbana. She has assisted Steve Kuehn with faunal analysis and often assists with public outreach. 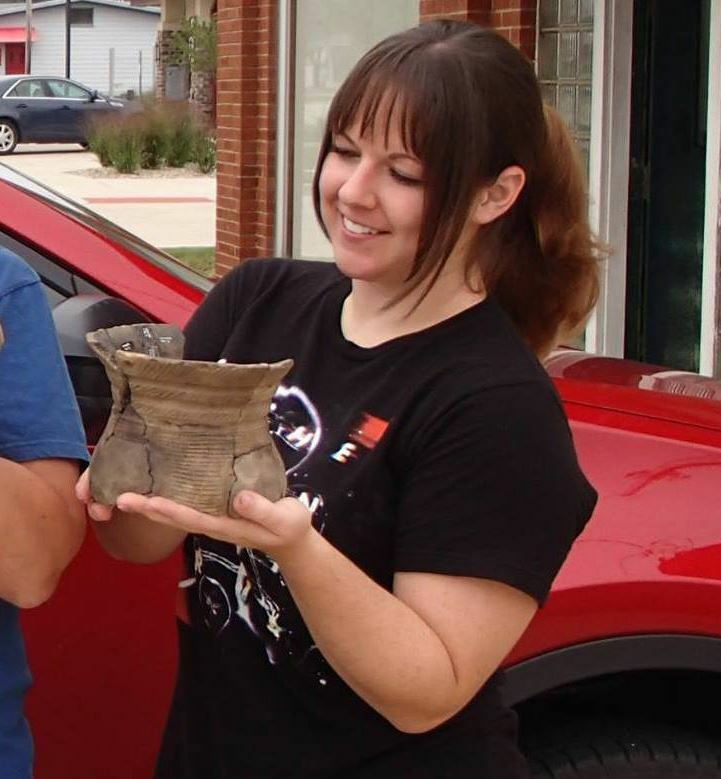 In 2015, she won the IAS Jeanette E. Stephens award and presented her first paper at the Midwest Archaeological Conference. She is particularly interested in Late Prehistoric zooarchaeology in the Midwest. She began graduate school at Illinois State University in 2016. For her thesis, Alli is researching Late Woodland and Terminal Late Woodland dog burials in the American Bottom. Originally from Minneapolis, Jolene obtained a BA in Anthropology/Museum Studies from St. Cloud State University in 1991. 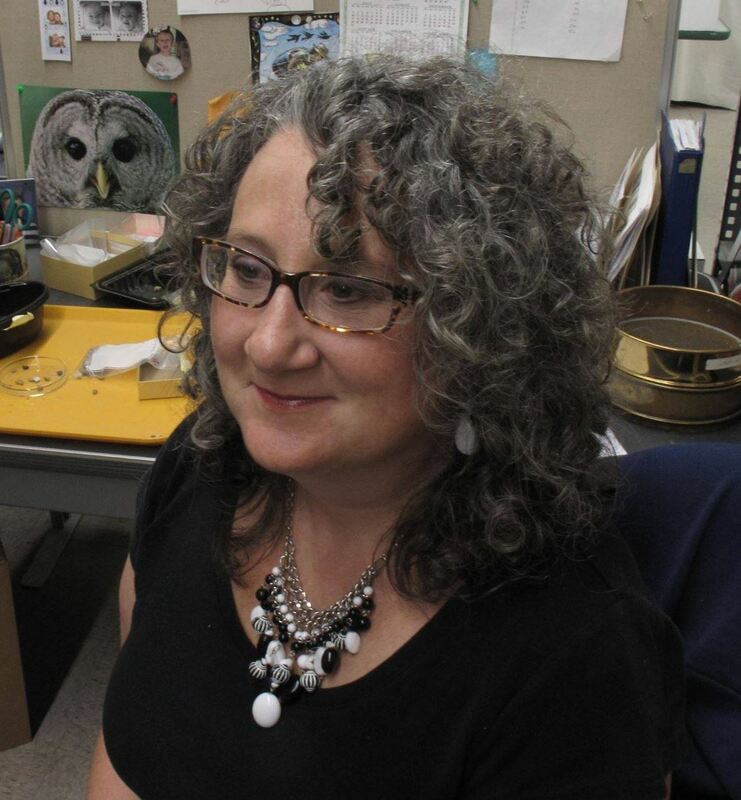 Over the past 25 years, she has worked as an archaeologist, education/outreach specialist, interpretive historian, website developer, and natural history specialist for a variety of state agencies, museums, CRM firms, and history centers across the Midwest and Great Plains. She is currently an Assistant Faunal Analyst at the Illinois State Archaeological Survey, where she previously worked as a Bioarchaeology Specialist. Jolene regularly participates in local outreach and educational events, and hopes to promote further interaction between the professional community and the general public. In her free time, Jolene enjoys playing the guitar, gardening, and reading. 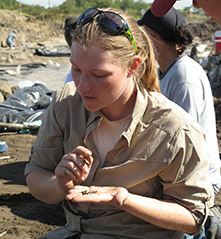 Aimee earned a BA in Archaeology from Cornell College in 2012. She is currently a staff archaeologist for the Illinois State Archaeological Survey’s Western Illinois Field Station in Macomb. Her interests include lithic analysis, ceramic analysis, and locating unrecorded sites around her hometown of Bryant, Illinois. 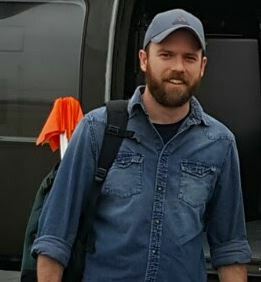 Ryan is a researcher with the Center for Archaeological Investigations (CAI) at Southern Illinois University Carbondale (SIUC). His work at the CAI has included directing numerous archaeological projects in southern Illinois and the surrounding area. Most recently, he has located segments of the Trail of Tears in southern Illinois and Missouri, used ground penetrating radar to identify unmarked historic burials in East St. Louis, and performed test excavations at a historic African American community in southern Indiana. Ryan holds an MA in anthropology from Wichita State University and is completing his Ph.D. in anthropology at SIUC. 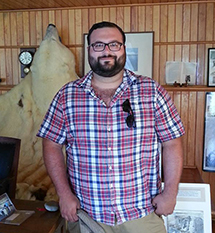 Jason is Executive Director for the Center for American Archeology (CAA) in Kampsville. He earned his BA from the University of South Carolina and his MA and Ph.D. from the University of New Mexico. 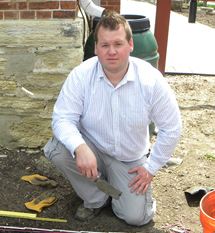 Jason first experienced Illinois archaeology at the Mound House site in 1999. He has directed CAA fieldwork since 2001. Most recently he has focused on geophysical prospection and excavation of Middle Woodland mound sites, including Mound House and Golden Eagle, and excavation of the historic Kampsville Lock site. Dr. King’s research investigates the roles of Woodland period mortuary practices, moundbuilding, kinship, and ideology in the formation and maintenance of social groups. Andrew earned a BA in Anthropology from Northern Michigan University in 2011 and an M.A. from Illinois State University in 2016. His interests include Early Archaic lithic technology, spatial analysis, and GIS. 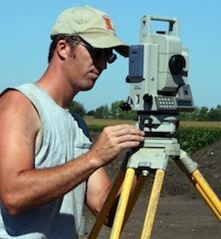 He has worked for the Illinois State Archaeological Survey’s Western Illinois Field Station since 2010 as a member of the survey crew and analysis team. 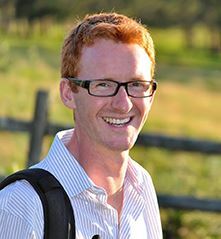 Jacob earned his BA and MA in anthropology from Brigham Young University, and in 2016 he completed his Ph.D. from the University of Illinois Urbana-Champaign. He currently works at the Illinois State Archaeological Survey as an Archaeological Analytical Specialist. Jacob has worked in diverse regions of North America, including the Great Basin, Southwest, and Midwest. His current research interests include the role of pilgrimage and other forms of population movement in the rise of Cahokia and the spread of Mississippian culture throughout the Southeast. He is now refining the chronology and settlement patterns of the Vincennes culture area in southeastern Illinois. He hopes that this will help us better understand the relationship between this region and Cahokia. Originally from Chicago’s northern suburbs, Jennifer has worked in Jacksonville since 2012. 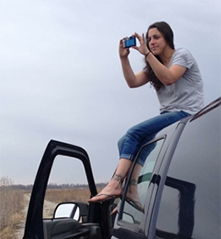 She is an Archaeological Assistant for the Illinois State Archaeological Survey’s Western Illinois Field Station. She earned her BS in Anthropology from Illinois State University in 2012. Her archaeological interests include prehistoric and historic material culture, landscapes, GIS, and early Asian Americans. 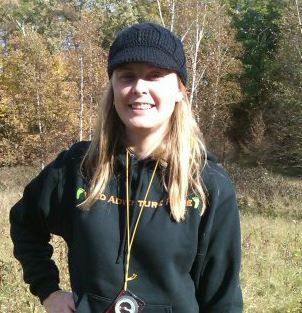 She has participated in James Skibo’s Grand Island Archaeological Research Program in Michigan’s Upper Peninsula. Jada earned a BA in Anthropology from Indiana University in 2012. She is the currently lab supervisor for the Illinois State Archaeological Survey’s Western Illinois Field Station in Jacksonville. Jada’s interests include ceramic analysis and illustration. Originally from Austin, Lenna completed her BA in Anthropology from Texas State University and her MA from the University of Mississippi in 2010. 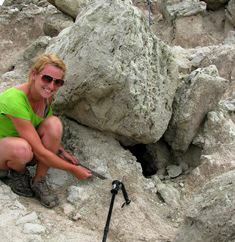 She is currently a Human Skeletal Analyst for the Illinois State Archaeological Survey. She is particularly interested in mortuary practices, including treatment and ancestor veneration. Her current research involves the analysis of skeletal remains from the East St. Louis Mound Center. Originally from the Wichita Metropolitan area in Kansas, Troy earned an MA in Anthropology from Wichita State University in 2010. He worked for the Illinois State Archaeological Survey in 2010, and after a leave of absence returned to the organization in 2013. 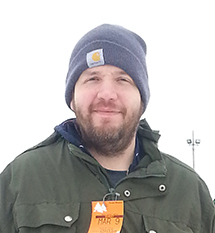 Troy is currently employed as a Field Technician at the Northern Illinois Field Station in Rockford. His interests include economic anthropology, ethnohistory, and research methods. Tim received a BA in History with a minor in Anthropology from Western Illinois University in 2004. He is working on his MA in History from the same institution. His interests include experimental archaeology and the survey of local creeks around his hometown of Raritan, Illinois. He is an active member of the Henderson County Historical Society and works as a volunteer at the Henderson County Museum. He has been a staff archaeologist at the Illinois State Archaeological Survey in Macomb, Illinois since 2008, and a crew chief since 2011. Tim completed his Ph.D. in Archaeological Geophysics in 2005 at the Department of Archaeological Sciences, University of Bradford (UK). He has 20 years of experience integrating geophysical techniques into archaeological investigations around the world. He is the Managing Director of Horsley Archaeological Prospection, LLC, and is an Adjunct Asst. Professor of Anthropology at Northern Illinois University. He is currently investigating community organization and urbanization during the Mississippian transition in the American Bottom. For some recent projects, visit www.archaeopros.com. Brent earned a BA from Appalachian State University in 1998 and an MA from the University of Mississippi in 2009. He has been working as a professional since 1999 throughout the southeast and mid-south in a variety of archaeological settings. He has supervised survey, testing, and data recovery fieldwork, and has authored or co-authored many compliance reports and published articles. His primary interests include the Mississippian period and ceramic analysis. Since 2011 he has served as a Research Archaeologist for the Illinois State Archaeological Survey’s American Bottom Field Station, working primarily on the New Mississippi River Bridge project. Rob earned a BA in English literature from Southern Illinois University at Edwardsville. Although his background is not archaeologically oriented, he enjoys finding creative solutions to problems and offering insights that might otherwise be overlooked. Rob is a Visiting Assistant Research Archaeologist at ISAS’s American Bottom Field Station, where he has worked since 2009. He participated in and eventually helped to supervise excavations at the East St. Louis Mound Complex. He is now assisting with historical analysis and artifact photography. His interests include prehistoric tattooing practices, late Victorian era health and medicine, and site documentation through photography. Adam earned a BA in anthropology from the University of Illinois at Chicago in 2010. His archaeological interests include lithic analysis as well as experimental archaeology/ancient technologies. Currently Adam is an archaeological assistant performing lithic analysis in the Central Illinois Field Office (Champaign) of the Illinois State Archaeological Survey. Dan earned a BA in Anthropology from Southern Illinois University-Edwardsville in 2011. His interests include prehistoric site structure, feature analysis, and field cartography. He's recently also become interested in Southern Illinois archaeology, primarily focused on Woodland and Mississippian occupations around the Big Muddy river. 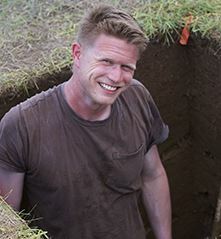 He is currently an Archaeological Specialist III and a crew chief for the Illinois State Archaeological Survey, American Bottom Field Station, where he has worked since 2011. Lois completed her MA in Environmental Science from Southern Illinois University Edwardsville in 1999 after earning her BA from the University of Illinois. She is currently a General Archaeological Supervisor at the American Bottom Field Station of the Illinois State Archaeological Survey. Her main responsibility is overseeing artifact processing and curation. Gene spent most of his life as a high school shop teacher but always had a passion for archaeology. 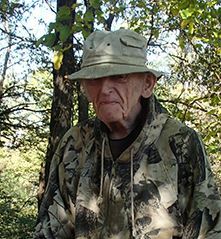 He has recorded hundreds of sites near his home in Fairview, Illinois. In 1982, he attended the Western Illinois University (WIU) field school at the CW Cooper site, starting a second career as a professional archaeologist. He worked sporadically for WIU on contract projects and field schools until he retired from teaching. Then, in 2006 Gene joined the Illinois State Archaeological Survey’s Western Illinois Field Station. His research interests include site distribution patterns and lithic analysis. He is currently working on the analysis of two Clovis biface caches he discovered in the Spoon River drainage. Martha graduated from Indiana University with a BA in Anthropology in 2012. Her interests include historic textiles and shoes. Currently she is working as an Archaeological Specialist with the historical team at the American Bottom Field Station, Illinois State Archaeology Survey. Dan earned a BA in History from Western Illinois University in 2006. He currently serves as District Archaeologist for the Illinois State Archaeological Survey’s Central Illinois Field Office, overseeing field operations throughout eastern Illinois. His research interests include soil morphology and pre-modern landscapes. In his nine years with ISAS, he has supervised and/or participated in archaeological surveys and excavations in 67 of the state’s 102 counties. Dan feels that his diverse experiences—which also include working in agriculture and construction-oriented fields—have enhanced his effectiveness as a CRM archaeologist. Originally from Lockport, IL, Jeremy earned his BS in Anthropology at Iowa State University in 2001 and his MA and Ph.D. from Binghamton University in 2004 and 2010. 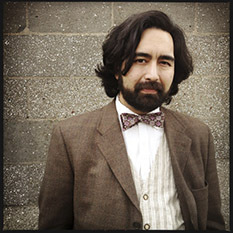 He is currently an Assistant Professor of Anthropology at Indiana University-Purdue University Indianapolis. His research interests include Late Pre-Columbian societies of west-central Illinois, bioarchaeology, the application of remote sensing technologies in archaeology, and quantitative modeling as a means to reconstruct past population dynamics. 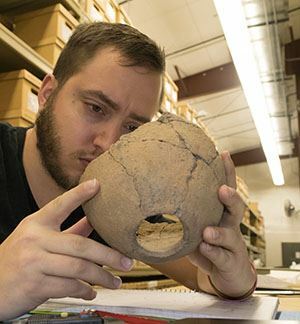 Jeremy presently directs the National Science Foundation’s Multidisciplinary Training for Students in Environmental & Social Sciences through Archaeological Research Program. Jenny earned an MA in Anthropology in 2006 from Northern Illinois University, where she also completed two field schools in Sicily that investigated a multi-unit Iron Age site. Her current research includes analyzing the Johnson Collection, a private assemblage of prehistoric material from a series of sites in Illinois and Wisconsin. Temporal affiliations of the collection range from Paleoindian to Mississippian. Jenny is also developing a comparative collection for historic archaeological materials including domestic, architectural, and personal artifacts. 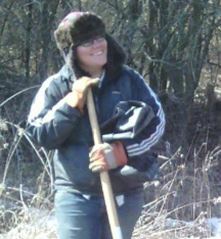 Jenny is currently employed as a staff archaeologist at the Illinois State Archaeological Survey, Northern Illinois Field Station in Rockford. Jay completed his MA in Anthropology from Northern Illinois University in 2013 and a BA in History from Illinois State University in 2004. 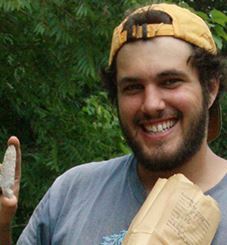 His research includes settlement patterns and lithic analysis. Jay has been working for Midwest Archaeological Research Services, Inc. since 2006, and he currently serves as a project supervisor. Lauren earned a BA in Anthropology from Illinois State University in 2009. Her interests include prehistoric lithic assemblages, Archaic cultures, and historic Euro-American cultural material. Her current research regards the Jersey Bluff culture in Jersey County, Illinois and historic Euro-American scroll flasks. Originally from the suburbs of Chicago, she enjoys Jacksonville's small town setting. She is currently a staff archaeologist at the Illinois State Archaeological Survey, Western Illinois Field Station in Jacksonville, where she has worked since 2010. Amber earned a BS in Anthropology, with a specialization in Latin American and Caribbean studies, in 2009 from Michigan State University. While at MSU, she completed a field school at Morton Village in Lewiston, Illinois. 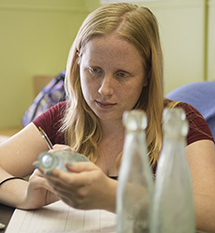 Amber is currently employed as a Staff Archaeologist at the Illinois State Archaeological Survey, Northern Illinois Field Station in Rockford, where she has worked since 2010. Her interests include prehistoric lithic analysis, cartography and GIS.